Tere Shehr Mein Urdu poetry book authored by Syed Aqeel Shah. Tere Shehr Main is a collection of Urdu poetry which contain romantic Ghazals, Poems and other religious poetry. Syed Aqeel Shah is a young poet from Sargodha city of Punjab Province. Since he is a young poet, therefore romance and enthusiasm is the special quality of his poetry. He is the authored of three more books of Urdu poetry listed below. 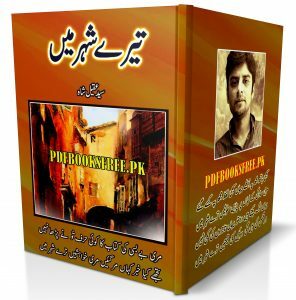 His latest poetry book ” Tere Shehr Main” is now available on Pakistan virtual library for online reading and download. Check out the following links to read online or download the complete book in Pdf format to enjoy offline reading.